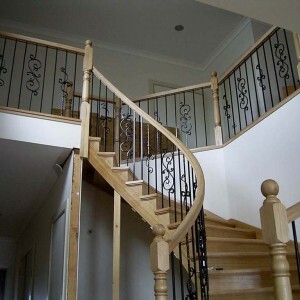 Talk to us at Coastal Staircases about your design ideas for wrought iron balustrades in Geelong, Surf Coast and along the Bellarine Peninsula. As we fabricate all of our own steel and iron here at our factory we can meet any customer requests and design specifications. 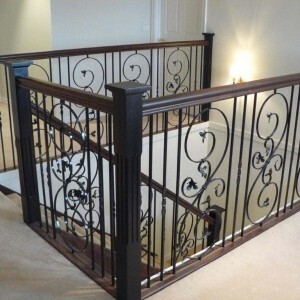 Wrought iron balustrading complements a range of home designs such as classic, contemporary, traditional and modern, and is limited only by your imagination. 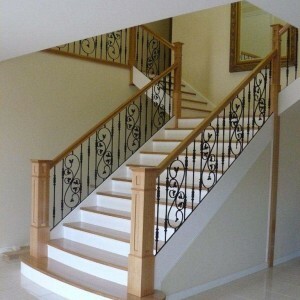 It can be teamed with timber railings, timber posts, powder-coated wrought iron or wooden balusters and many other features to transform and make a spectacular feature of your stair case. 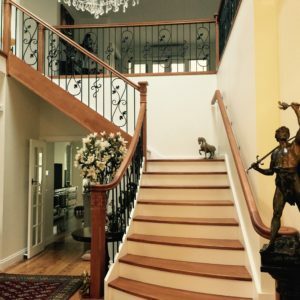 The balustrades themselves can be straight and rounded or twisted and turned; can feature panels of elaborate wrought iron design along the entire balustrade or smaller details spaced at every third or fifth bar. Bring us your plans, photos, measurements and ideas and we can help you select the materials and design to complement your home, reflect your personal style and meet your budget. Phone us on for a free quote on 03 5248 7000 or arrange a consultation. We are based in Geelong but install balustrading in Lara, Werribee, Torquay, Lorne, Apollo Bay, Queenscliff, Barwon Heads, Ocean Grove and everywhere in between. 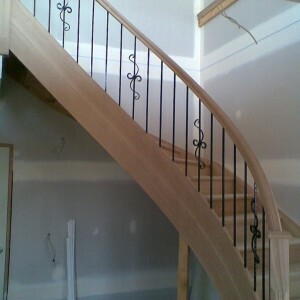 We can also help you with stair railings and wooden staircases in Geelong and surrounds.